ERS Services designs, installs, and services emission control systems and emission monitors for thermal process equipment. 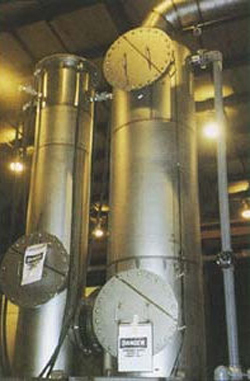 These control systems include venturi scrubbers, packed column, baghouses, dry scrubbers, and ESPs. The monitors include integrated continuous emissions monitor systems (CEMs), opacity monitors, and data aquisition systems (DAS) with reporting. ERS Services arranges testing for stack emissions from thermal process systems, combustion systems, incinerators. Our ability to tune-up and balance the system prior to testing results in optimum performance during testing. We prepare the site, install test ports, if required, and coordinate with the testing team.